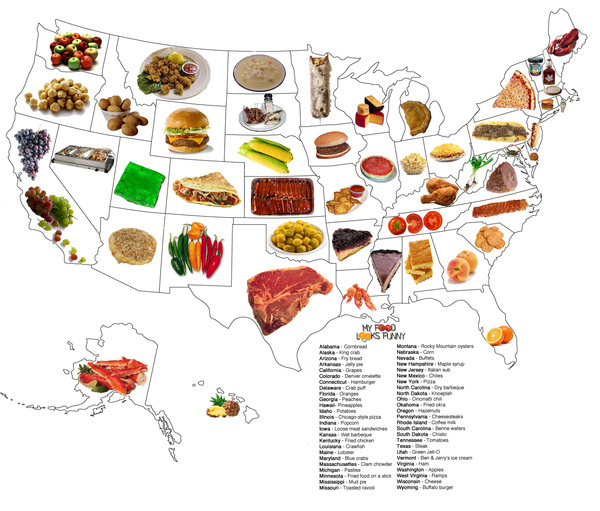 The last few years I have been on a personal quest to educate myself about the foods of the United States. As I tend to do in all areas of my life, I have re-invented the wheel in this endeavor. There are books already out there that showcase the foods of the United States. But scholar that I am, I wanted to personalize it with my own investigations and (of course) preparations. The end result? Snacking State-by-State. The posts are listed below in index format. 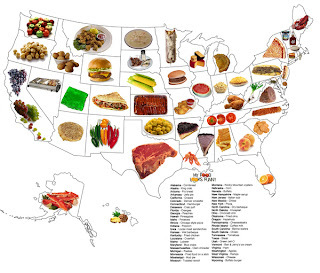 States are commingled with types of dishes, making it fairly easy to find whatever you need to find! Each applicable post has the state with which I associated it listed afterwards, but remember that does not mean the recipe is necessarily only found in that one state (to wit, fried catfish is not specific to Alabama). bean dishes - see "legumes"
Big Sky Country, cuisine of - see "Western"
Caribbean - see "Cuban" and "Puerto Rico"
candies - see "desserts and sweet things"
casseroles - see "stews, chili and casseroles"
chili - see "stews, chili and casseroles"
Deep Southern - see "Southern"
Eastern European - see "Czech", "Polish", "Russian", "Slovak" and "Ukrainian"
Great Plains, foods of the - see "Midwestern"
hot dogs - see "sandwiches"
New California cuisine - see "California"
New Mexican - see "New Mexico" and "Southwestern"
Nigerian - see "West African"
Prairie, Foods of the - see "Midwestern"
Rocky Mountain - see "Western"
Russo-German - see "German" and "Russian"
Southeast Asian - see "Filipino", "Thai" and "Vietnamese"
Washington, DC - see "District of Columbia"